Book Dragon's lair: What are you Reading? 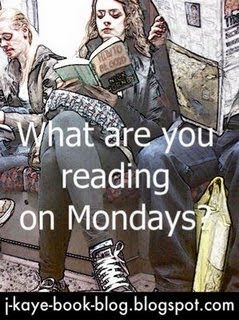 What are you reading on Monday? is a weekly meme hosted by J. Kaye at J. Kaye's Book blog where you post books completed last week and plans for upcoming books. Jump over to her blog and see who else is participating. and more of Only in New York, Darling! I would like to reorganize my blog - I really, really want 3 columns, list what books need to be read ASAP for reviews and challenges, what challenges are due and the books needed to complete them. It would be nice to have a list of unread books in the house, at least the easily accessible ones. You did real good reading! I haven't started "Wait Until Twilight" yet. Are you liking it? Mailbox Monday & What are you Reading? Off Topic- What Pet are You Like?